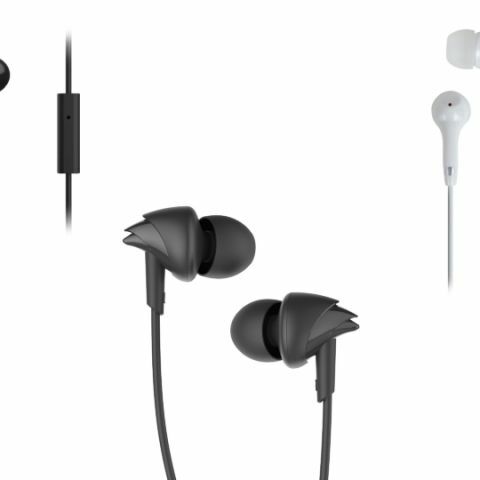 For today’s roundup, we’ve dug up some of the best deals on in-ear headphones under Rs 500 on Paytm Mall. If you’re on a lookout for in-ear headphones and have a limited budget then our deals roundup for the day might interest you. In this list, you will find products from well-known brands like Skullcandy, Phillips, Samsung and more. The Philips SHE1455 comes with an in-line remote that let users take calls and manage audio tracks. The company claims that it can also block out external noise through passive noise cancellation for an enhanced listening experience. You can purchase this device here. The Skullcandy claims that the S2DUDZ-003 offers a complete in-ear seal that able to restrict the outside ambient noise. The earphone features 10mm dynamic drivers and has an impedance of 16 ohms. It comes with three ear-caps, allows you to choose one that best fits your ear. You can purchase this device here. The boAt BassHeads 225 come with passive noise cancellation which as per the company, can block ambient noise. It has an in-line remote with one multi-functional button which allows you to pick up calls, manage volume and change music tracks. You can purchase the device here. The Motorola Earbud 2 is a water-resistant device, which comes with an in-line remote that let users take calls and manage audio tracks. As per the company, the earphone has passive noise reduction, which can block ambient noise to some extent. You can purchase this device here. The Samsung HS1303 comes with a handy built-in mic with controls that lets you take calls, and manage volume without taking out your smartphone. The earphone features 9mm drivers and has an impedance of 32 ohms. You can purchase this device here. The boAt BassHeads 100 In-Ear headphone features a microphone with an in-line remote for managing audio. The earphone comes with three ear tips, which gives you the option to choose one that best fits your ear. Purchase this device here.